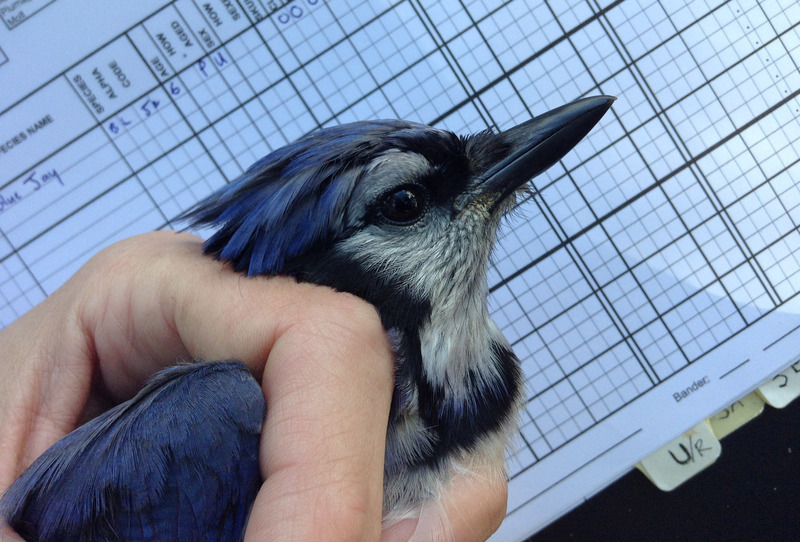 Our fifth straight season of avian monitoring and research in the Frontenac Arch was a success and is now officially wrapped up! A substantial amount of data was collected in 2013 and has now finally been proofed, entered, sorted and examined. Here’s a quick recap of the major highlights from 2013 – the season of the survey…. This past year we conducted a lot of point count surveys – 258 in all, to be exact. Many of these (164) were repeat surveys at fixed stations that were first sampled in 2009. 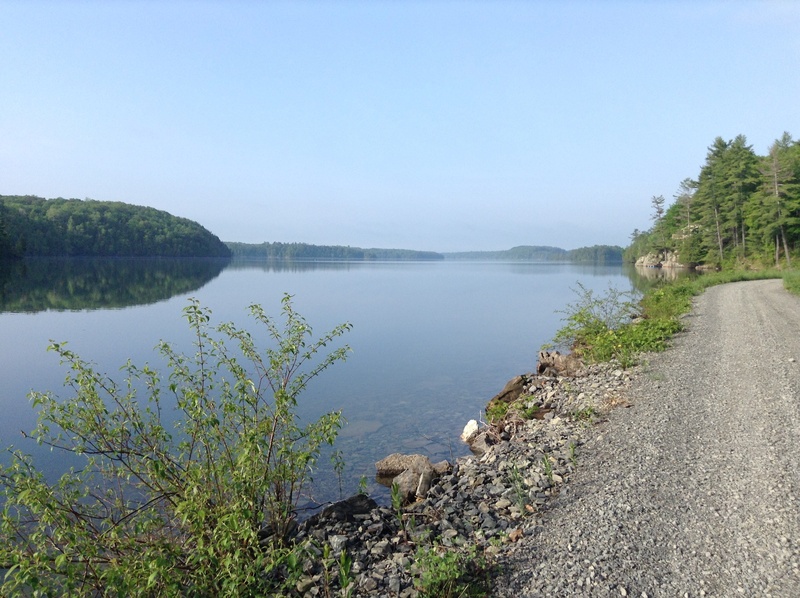 Overall, the effort required >40 kms of walking in Frontenac Provincial Park and stops every 500m along 56km of roadways throughout the study area. 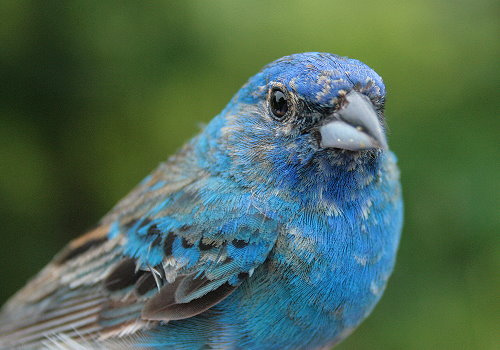 Over time, the data enables us to monitor changes in breeding bird populations in a broad array of landscape conditions. Overall, we observed a small decline since 2009 (-3.9%). 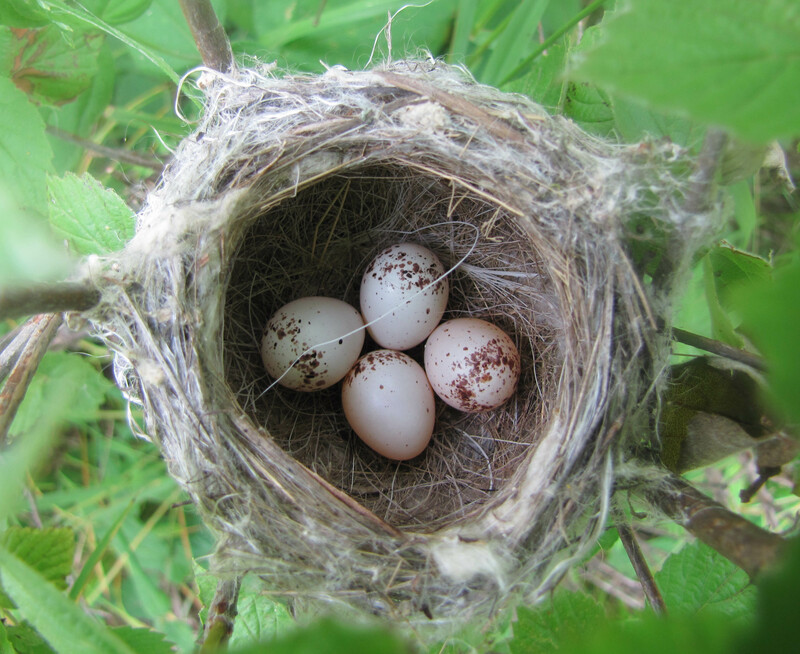 Minor changes in abundance, positive or negative, are evident for most species, however some have shifted more markedly in recent years. 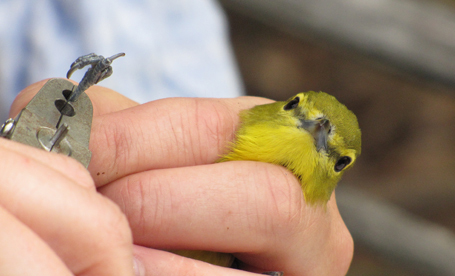 Yellow-throated Vireos, for example, increased in abundance on point counts by a whopping 250% in 2013! 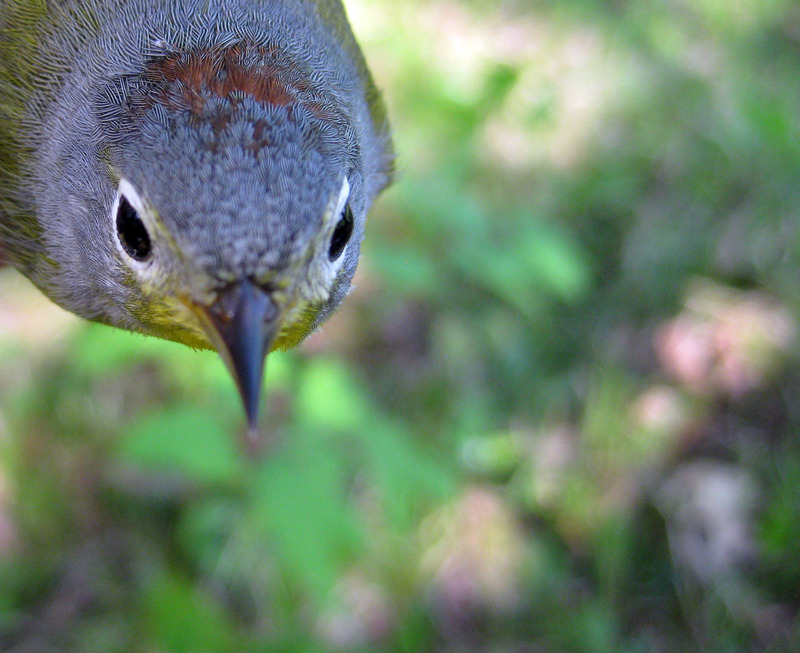 In 2013, we collaborated with Bird Studies Canada and Canadian Wildlife Service as part of a project to survey Cerulean Warblers. 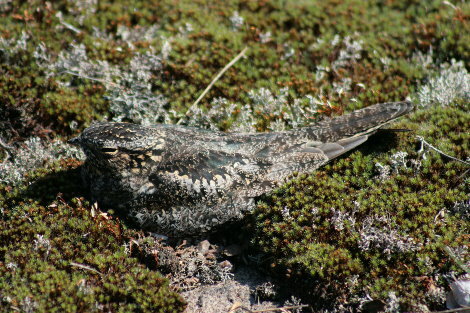 The study looked at populations across a 300 km extent from Georgian Bay to the Frontenac Arch. 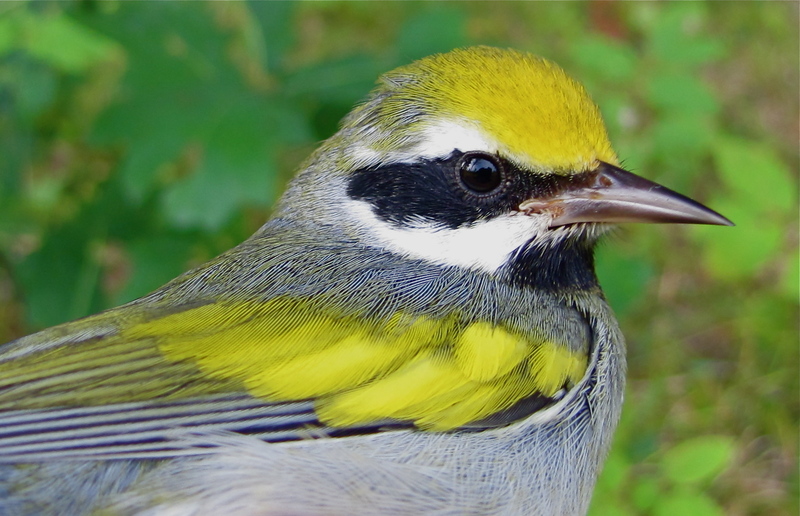 Results from this project and our own studies strongly support the value of Frontenac Provincial Park forests to Cerulean Warbler populations in Canada. 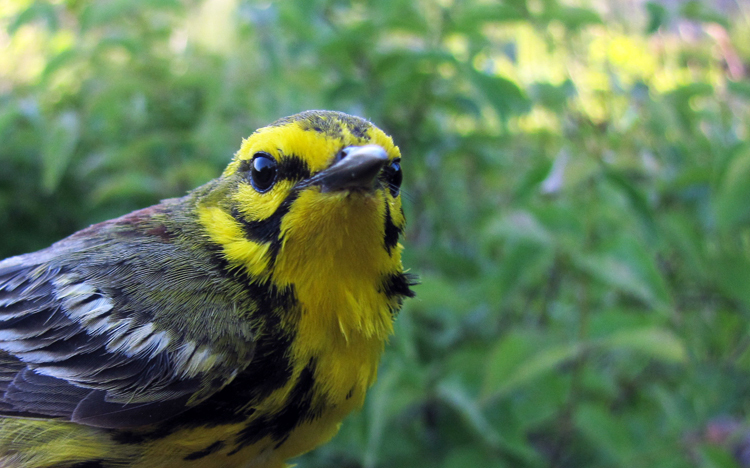 Perhaps North America’s fastest declining wood-warbler, the Cerulean Warbler has been assessed as Endangered in Canada and Threatened in Ontario. Our fifth consecutive MAPS season came to a close on August 4, 2013. After the bumper 2009 season, a substantial decline in population diversity and abundance was detected, reaching a five-year low in 2011. 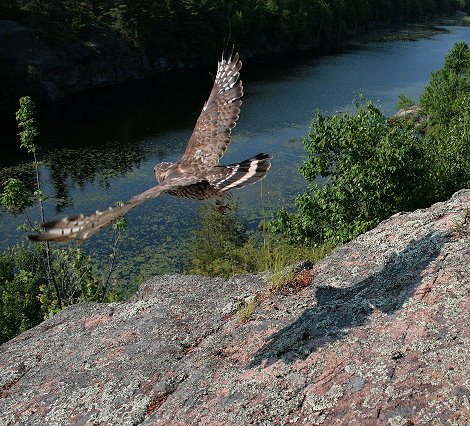 This past season saw the first signs of a rebound with an overall record-high productivity index and also three-year high capture rates for many species. 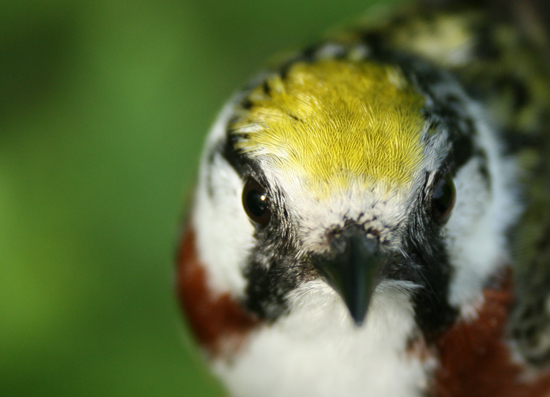 The program is a key component of our breeding bird monitoring objectives by providing annual assessments of forest bird demographics. 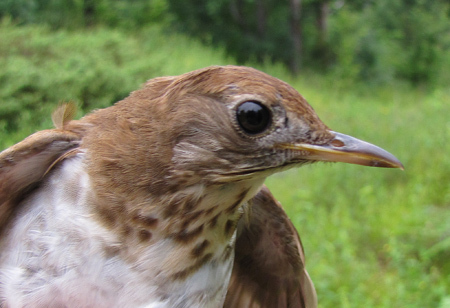 We are pleased to report that “Mr.33”, a male Veery banded at MABO as a hatch-year in 2009 has returned each year since, including 2013! 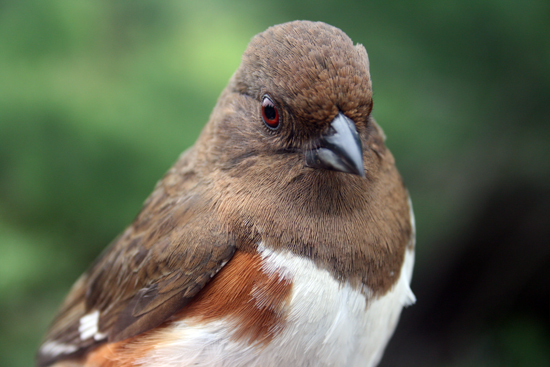 His travels from the Frontenac Arch to Brazil amount to >56,000 km over eight migrations. This distance is equivalent to one and a half trips around the globe – incredible! 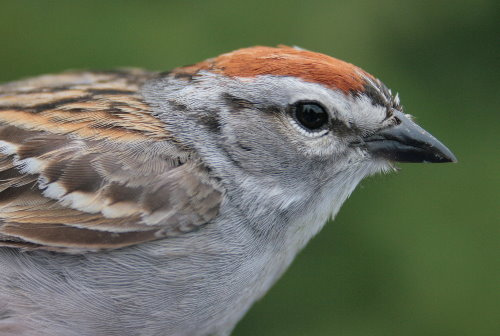 These are just a few of many stories from the 2013 season of Frontenac Bird Studies. Our program exists through the assistance of many wonderfully supportive individuals and organizations. 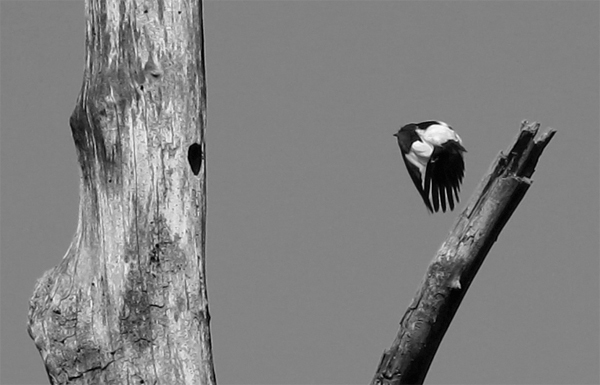 The Migration Research Foundation thanks the following for their contribution to FBS in 2013! 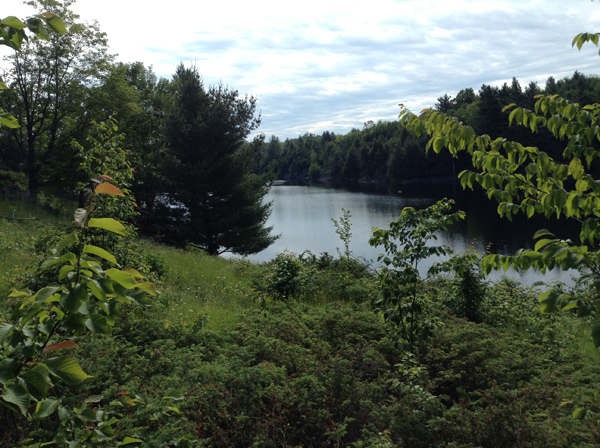 After a prolonged and complicated change of address it felt good to stroll through Frontenac woods again! 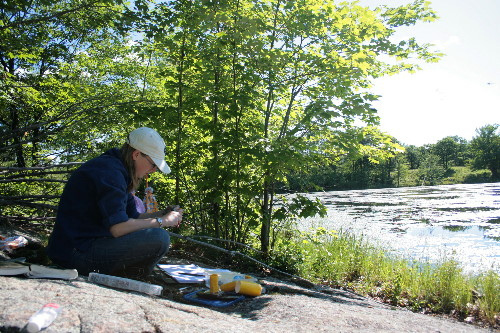 The field season has begun. Our plans are full, as usual, but our focus will shift from the more specific pursuits of recent years back to the bigger picture. Point counts, point counts and more point counts are in order. 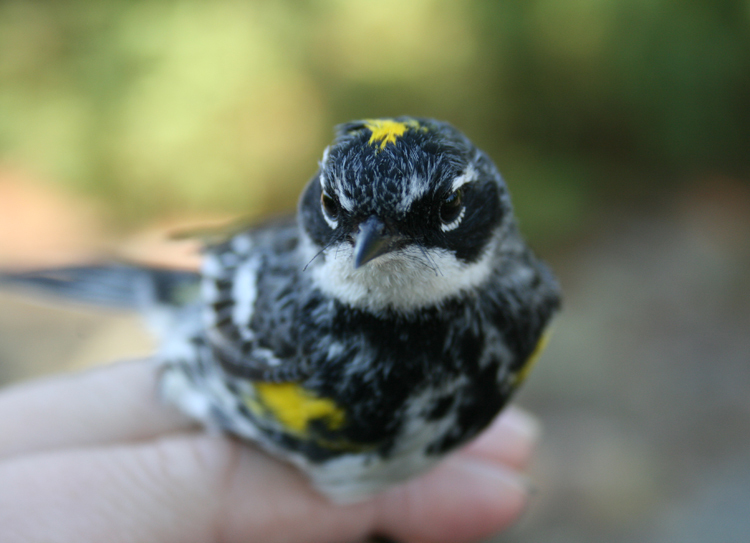 In addition to widespread surveying there will also be demographic monitoring (MAPS and nest searching/atlassing) and a role in a collaborative project with Bird Studies Canada and Canadian Wildlife Service to examine the current population status of Cerulean Warblers in Ontario. 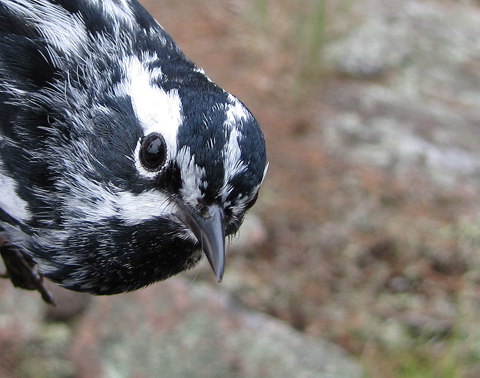 The Frontenac Arch is THE hotspot for Cerulean Warblers in Canada. 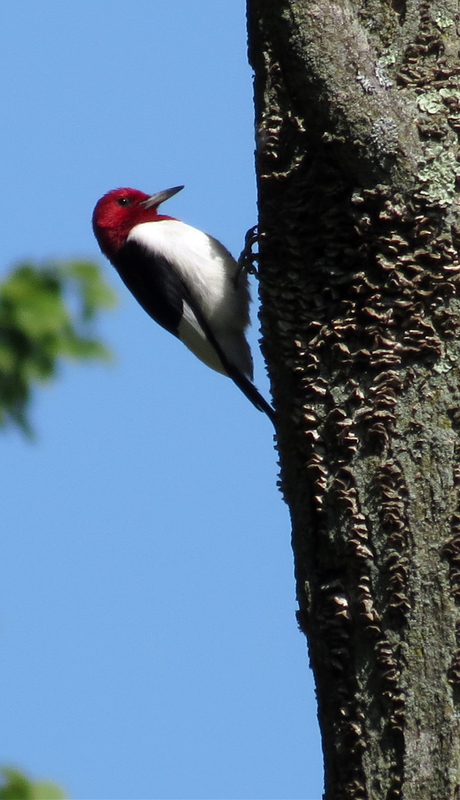 About a half dozen were heard singing this morning amongst the emerging foliage of the forest canopy. I still marvel at the number of species with provincially or nationally critical connections to the Frontenac Arch region. The Gray Ratsnake (Pantherophis spiloides) is a perfect example. 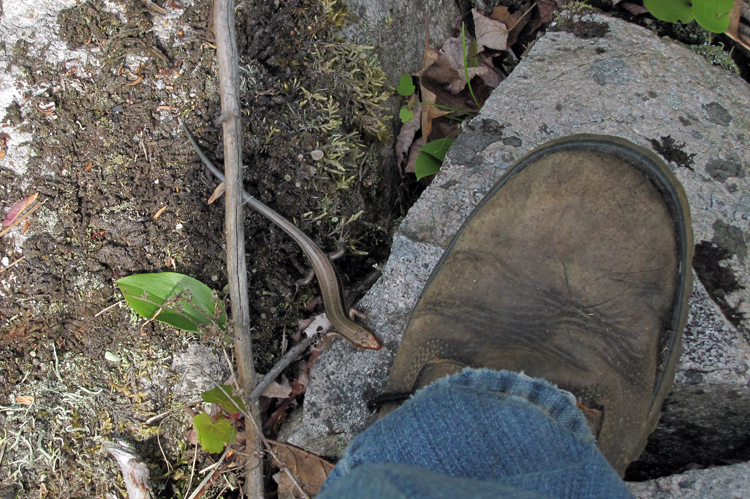 This is Ontario’s largest snake, growing up to 2.5 meters in length. 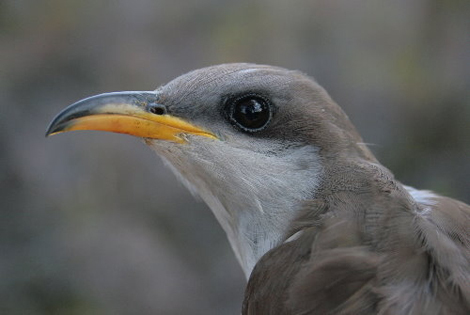 This species has retracted considerably from its historical range but they seem to be holding on in the Arch – a familiar trend. I found this meter-long individual warming itself on the road this morning. After a bit of resistance from it I was able to move it off the road to safety. Unfortunately, collisions with vehicles are one of its main threats. 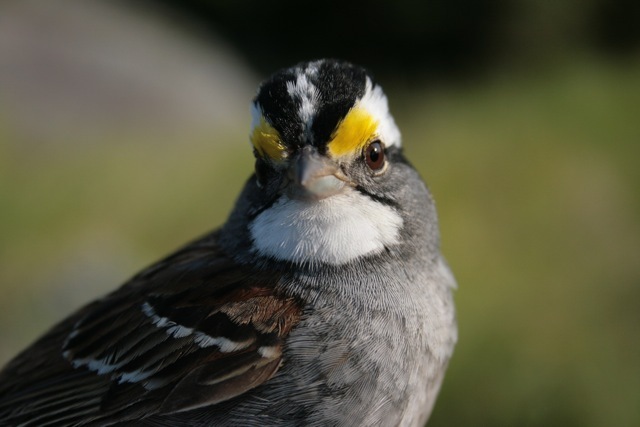 The Point Count is a standard method for gathering data on the relative abundance of breeding birds. 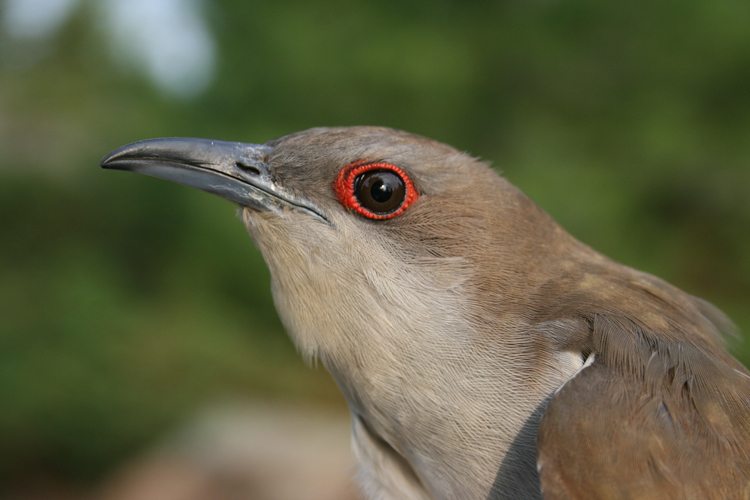 This method typically involves a 3, 5 or 10 minute count of all birds detected from a fixed position and is conducted year-after-year from the exact same spot. Annual replicates of point count surveys enable the calculation of population trends and can also infer correlations of temporal changes in relative abundance to specific habitats and many other parameters dictated by survey design. 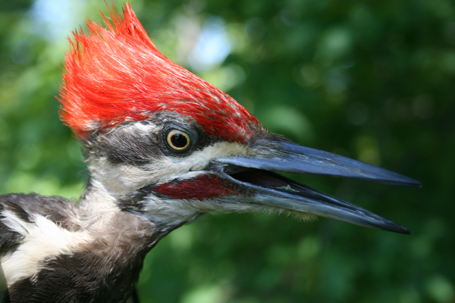 For the Frontenac Breeding Birds project, we will be completing 80 off-road point count stations within Frontenac Provincial Park as well as 120 roadside counts along secondary and tertiary road systems in the study area. 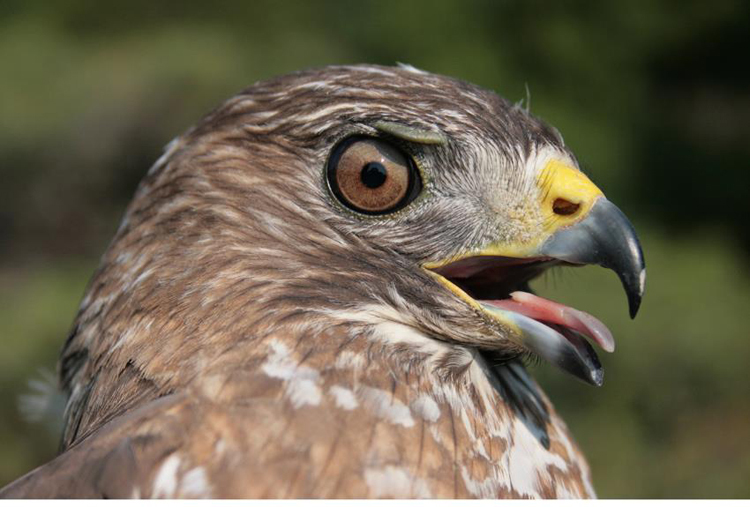 This is a big undertaking but will provide a sound baseline assessment of the avian communities in the area. 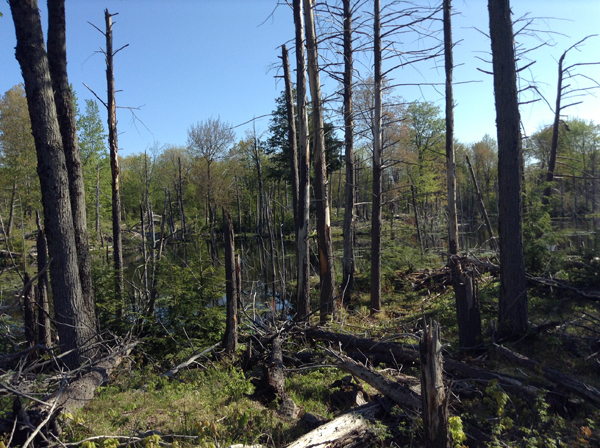 At least for now our point counts will be focused on terrestrial habitats, primarily of the forested kind. 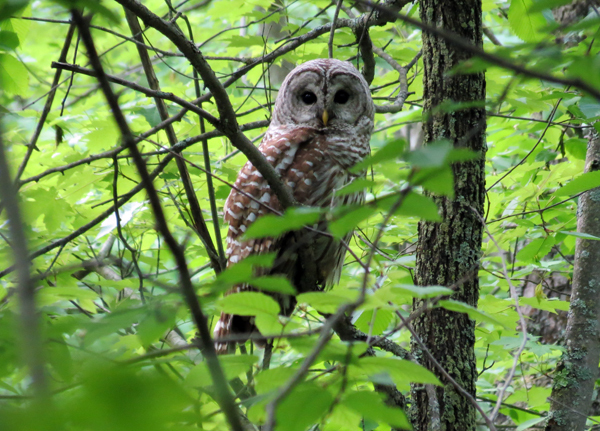 I emerged from the house at dawn on June 8th to begin the first morning of point counts in mature deciduous forest habitat in the park. I heard a Winter Wren singing mightily from the opposite shore of our dock and wondered if I might have a chance to investigate later in the day after the surveys were done. I was about to enter some of the oldest forests in the region and didn’t have any time for dawdling so I carried on to the first station after a short boat trip across Kingsford Lake. These forests are quite diverse with tree species but the main representatives are Red and White Oak, White Ash and Sugar Maple. The light diffusing through the canopy was quite spectacular and I was pleased to write down a singing male Cerulean Warbler at MH1, the first station of the day! Ceruleans are quintessential canopy dwellers, rarely descending to heights that would afford even a decent glimpse, although they do occur in less mature forests at Queen’s Biological Station. This is one of the grandparent trees in the forest, easily a century old White Ash that pierced through the upper canopy. My jets hat was used to give a better sense of scale of this monster! This is a view straight up to the canopy along the trunk of the ash and the Ceruleans like to hang out up near the top somewhere. 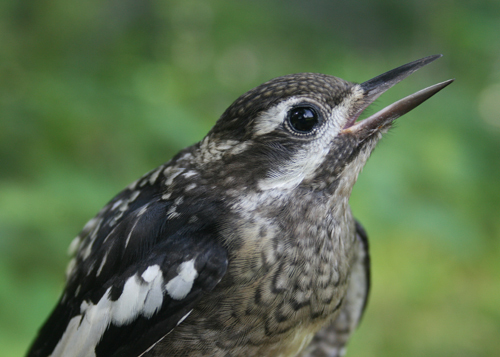 Fortunately, I’ve been finding that their buzzy songs carry a decent distance through the forest and they are frequent songsters, even well into mid-afternoon. This particular point count route was about 4 kilometres long in total with twelve stations spaced evenly by 330 metres. The route carried me nearly the full length of Kingsford Lake to the north end of the park and Devil Lake. There was much more than just birds to look at during the trip including this abandoned mica mine, which was established in 1844 and terminated in 1949. The mine shaft was fenced off and all that remained of the operation were piles of mica shards and a heap of old equipment and furniture as seen in the photo below. 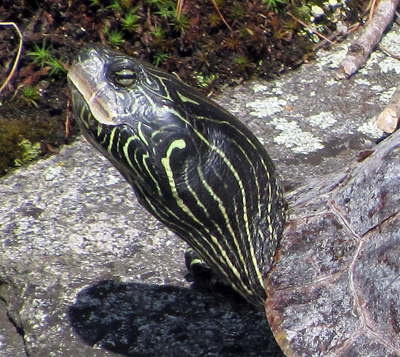 Mica is abundant in the area, glowing in the soil and exposed rock on sunny days. The undulating landscape of ridges and valleys is a hallmark of the Frontenac Arch where the Canadian Shield rears up dramatically at its furthest position south. The valleys often contain ephemeral pools and wetlands, which create ideal growing conditions for these ferns that were over a metre and a half tall. 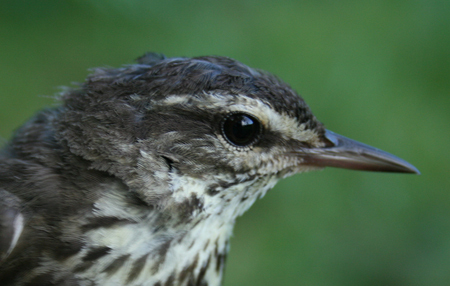 Northern Waterthrushes thrive in these areas of the park. 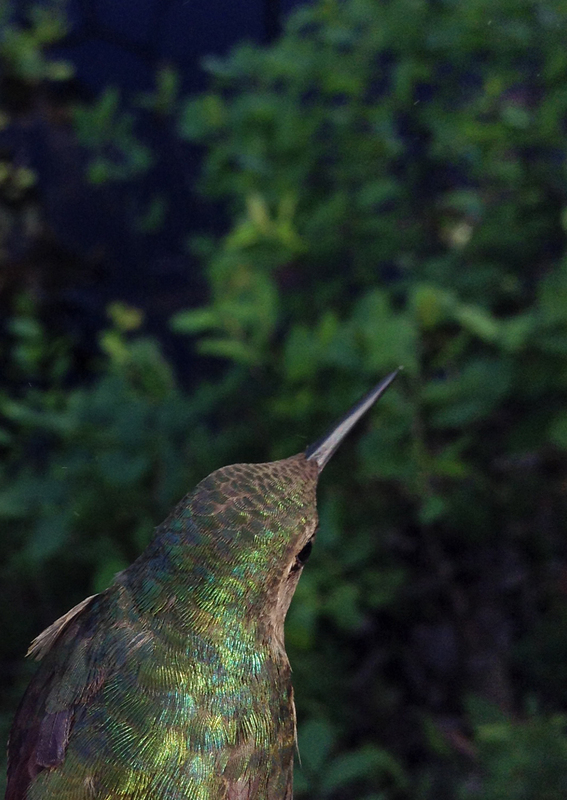 Back to the birds. After completing the first route through mature forest on the 8th, today I finished up the first of three routes to be conducted in younger hardwood forest of the park. 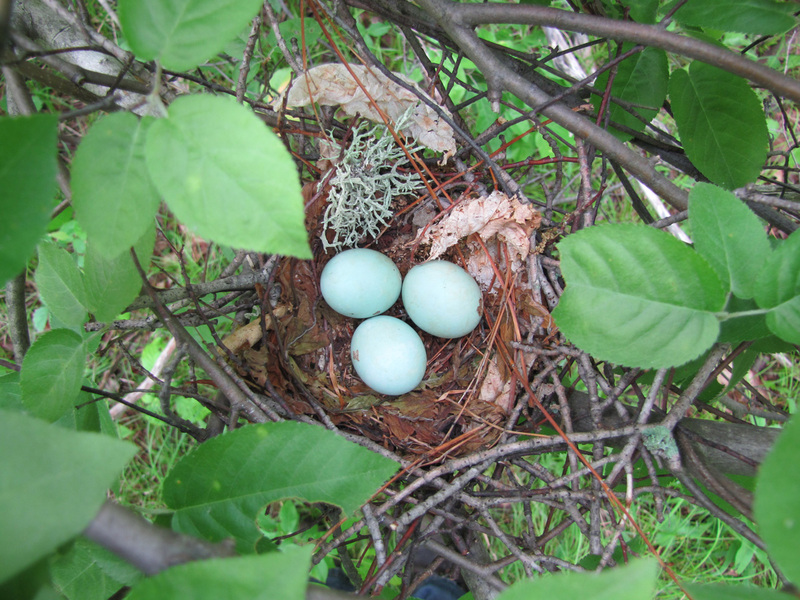 An obvious highlight of the two survey routes was the abundance of Cerulean Warblers detected. 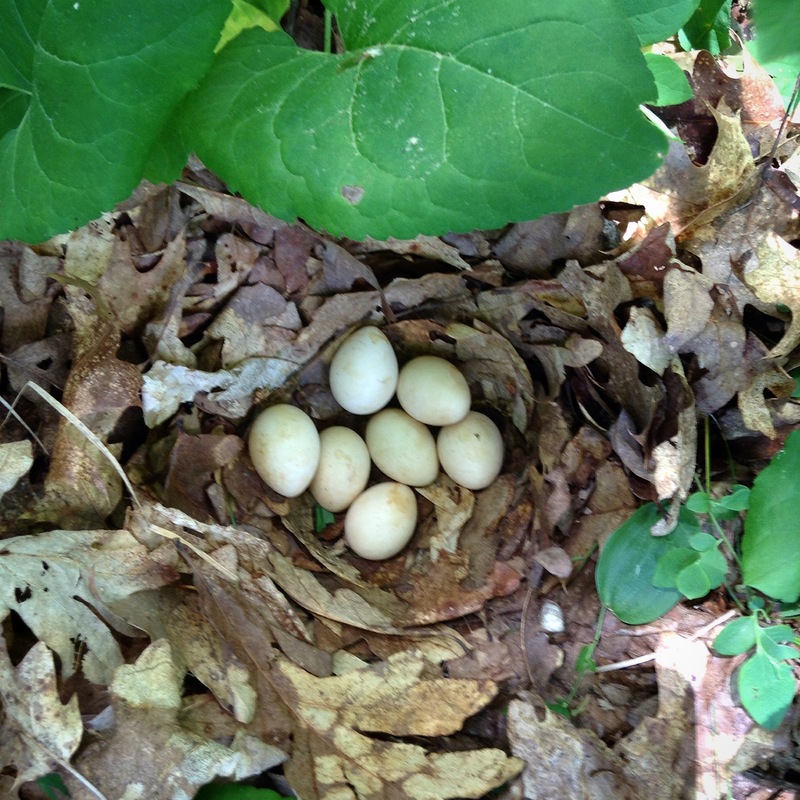 This little wet clearing in a relatively young hardwood stand contained three males that sang from the confines of their respective territories at the edge of the clearing. This is a photo of one of my survey forms from this morning, which records no less than three counter-singing Cerulean Warblers! The inner circle has a 50 metre radius and the outer extends from 50-75 metres. This grid is used to keep track of who is where while you are working as it can become quite confusing when there are a lot of birds in your immediate area. 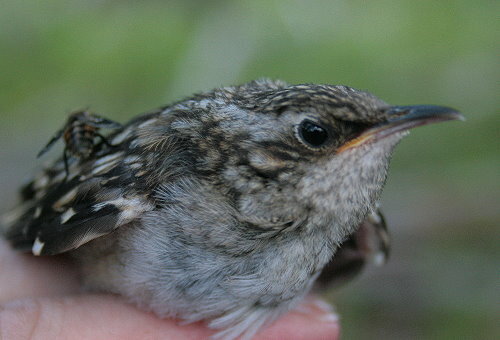 The hashmarked lines connecting CERW and SOSP indicate countersinging birds, which helps to confirm that individuals aren’t being double-counted. 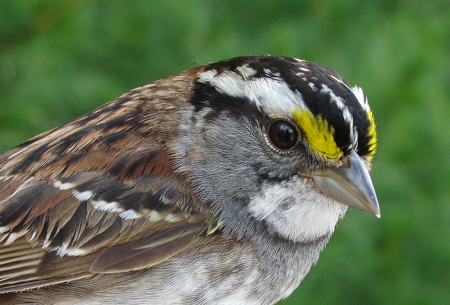 Birds with small dots were detected in the first three minutes and those with stars and triangles were recorded between 3-5 and 5-10 respectively. 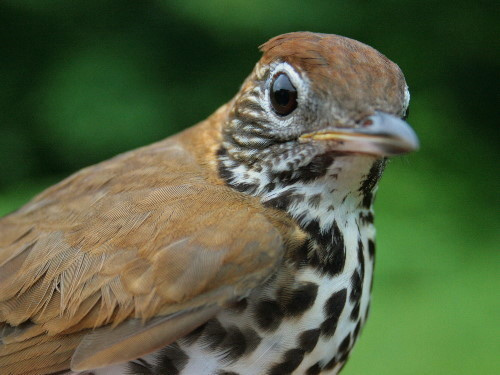 There were twelve species within 75 metres at this particular station, including a Yellow-billed Cuckoo (YBCU) and a Scarlet Tanager (SCTA) among the Ceruleans (CERW), American Redstarts (AMRE) and Red-eyed Vireos (REVI). Also present were Northern Flicker (NOFL), American Robin (AMRO), Song Sparrow (SOSP), Great Crested Flycatcher (GCFL), Chipping Sparrow (CHSP) and White-breasted Nuthatch (WBNU). 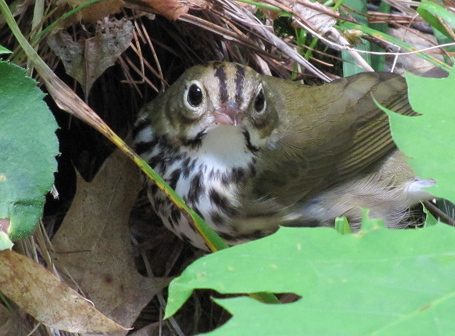 The first day of point counts finished off nicely with a Louisiana Waterthrush near Crab Lake at the last count and in the last minute! 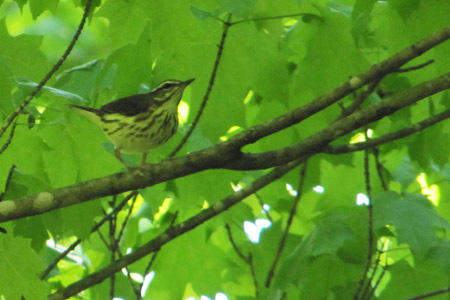 In all a total of 14 Cerulean Warblers were detected along the route through mature deciduous forest. 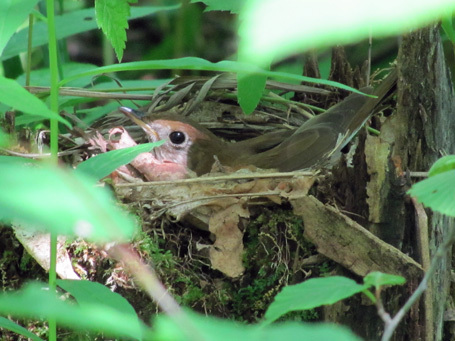 Another 15 were recorded this morning in younger hardwood forests near Birch Lake to the south of Kingsford for a total of 29 singing males in two mornings of point count surveys in Frontenac Provincial Park! The 24 surveys completed so far are at best a slice of what is there and I still have two more routes of twelve counts each in the younger hardwood forests. 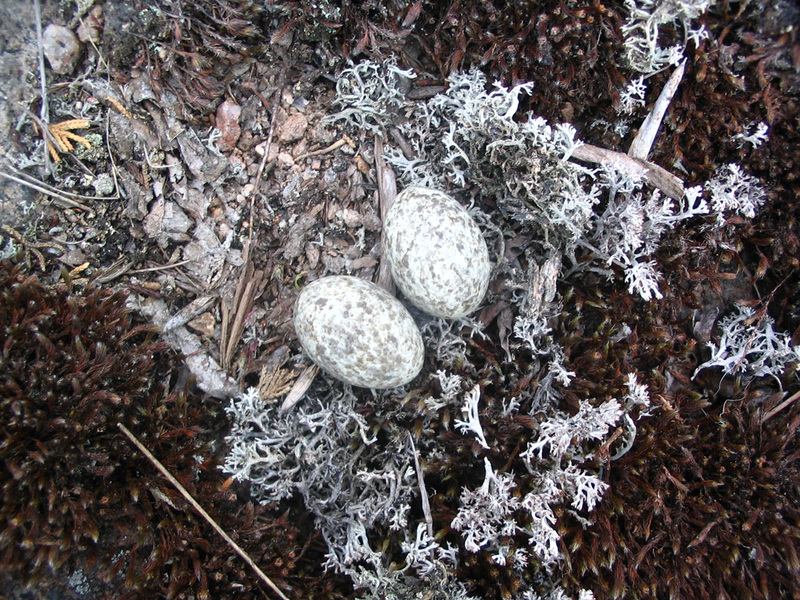 Lastly, after walking back the four kilometres from Crab Lake on Monday, I checked in on that singing Winter Wren I’d heard singing about seven hours before. After about 60 minutes of quietly watching the male and female in their territory, I was able to locate their nest underneath this mossy old stump. It was pitch black under there and I had to basically lie down in the swamp with my flashlight and pocket mirror to find what is effectively a hidden hole in the ceiling of the stump about the size of a two dollar coin! 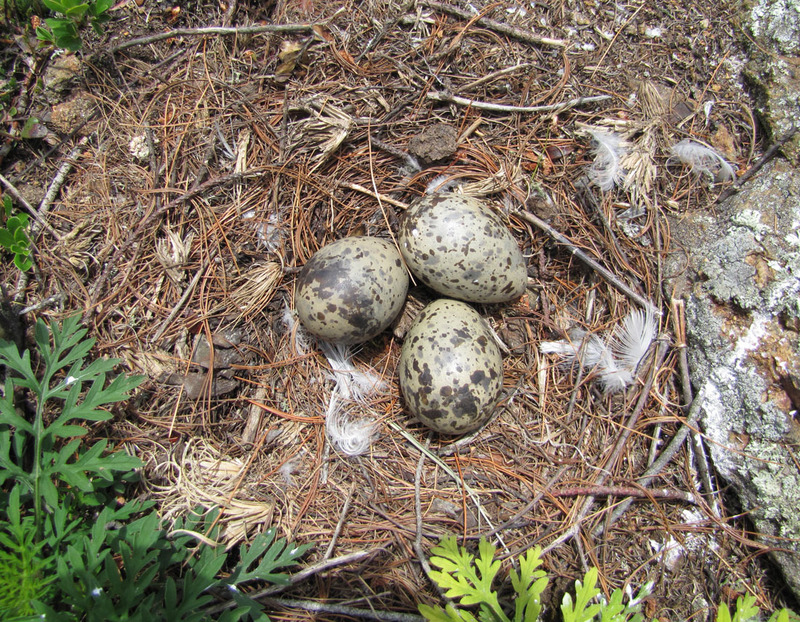 The nest contains three very small chicks and with any luck you will notice the tips of their bills in the photo below.